Designed for pre-nursing and allied health students (and also mixed-majors courses), Microbiology with Diseases by Body System, Second Edition retains the hallmark art program and clear writing style that have made Robert Bauman’s book a success. Filled with intriguing content based on cutting-edge research that engages students, the Second Edition features increased clinical coverage as well as a strong focus on the beneficial effects of microbes. Media Manager 2.1 provides instructors with the most robust media program available in the microbiology market for dynamic classroom presentations. In addition to all of the art, photos, and tables from the book in JPEG and PowerPoint® format and customizable PowerPoint lecture outlines, Media Manager 2.1 also includes 115 brief Microbiology Animations that depict complex microbial processes. These animations also appear on MasteringMicrobiology™, with gradable quizzes, for students. 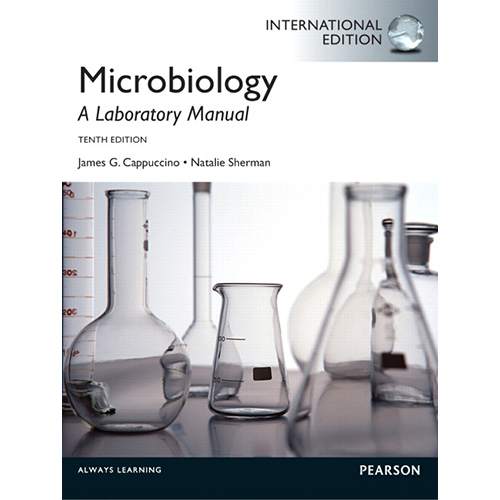 Microbiology:An Introduction with MyMicrobiologyPlace Website Plus MasteringMicrobiology Access Kit:..